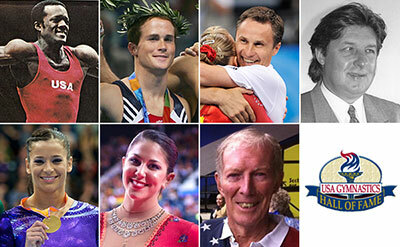 INDIANAPOLIS, Dec. 15, 2015 – Seven individuals representing five different gymnastics disciplines comprise the 2016 class of inductees for the USA Gymnastics Hall of Fame. The four Olympic athletes and two coaches are: athletes – Ron Galimore of Indianapolis (men’s gymnastics), Paul Hamm of Glen Ellyn, Ill. (men’s gymnastics), Alicia Sacramone of Ft. Lauderdale, Fla. (women’s gymnastics), and Julie Zetlin of Los Angeles (rhythmic gymnastics); and coaches – Valeri Liukin of Parker, Texas (women’s gymnastics coach), and Jurek Pol of Slidell, La. (acrobatic gymnastics coach). 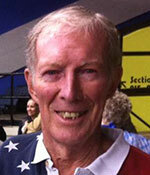 George Hery of Fallbrook, Calif., will receive the Lifetime Achievement award for his efforts in trampoline and tumbling. The induction ceremony is slated for Saturday, July 9, during the 2016 U.S. Olympic Trials – Women’s Gymnastics and USA Gymnastics National Congress and Trade Show in San Jose, Calif.
Galimore, one of the country’s top gymnasts, was a member of the 1980 U.S. Olympic Gymnastics Team, becoming the first African-American to make a U.S. Olympic Gymnastics Team. 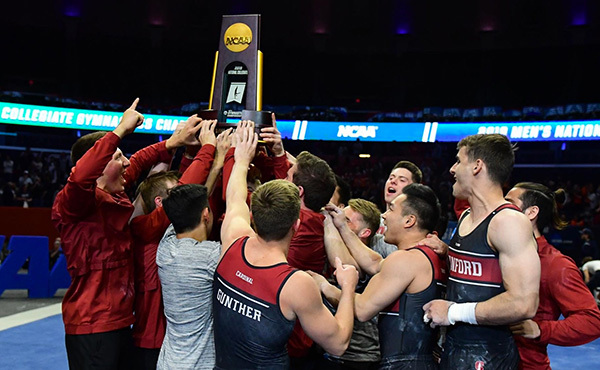 He was the first four-year NCAA national gymnastics champion and earned the first perfect 10 at a NCAA National Championships. 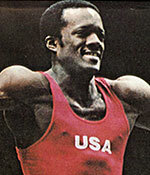 While at Iowa State University, where he graduated with a Bachelor of Arts in speech, Galimore was a 12-time All American and was named Athlete of the Year in 1981. A member of the U.S. Men’s National Team from 1977-81, he holds the record for most U.S. national vault titles at four and is tied for the record of three national floor exercise titles. After finishing his education at Iowa State and retiring from competition, Galimore participated in two touring gymnastics shows/competitions sponsored by Madison Square Garden; served as the assistant coach for Iowa State; and worked for ABC during the 1984 Olympics Games. 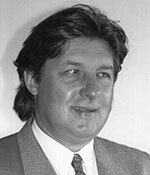 Galimore was the founder and athletic director of the Ron Galimore Athlete Training Center in Tallahassee, Fla., from 1985-94, and a project manager for Marketing and Financial Management, a firm that specialized in sports marketing (1984-85). Currently, Galimore is the chief operating officer of USA Gymnastics, and he resides in Indianapolis with his wife, Loree. Hamm was the first U.S. man to win the World and Olympic all-around titles, and he won a total of three Olympic and five World medals. 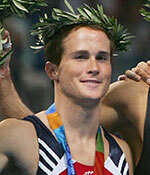 A two-time Olympian, Hamm won the Olympic all-around gold medal at the 2004 Olympic Games in Athens, Greece. He also aided the U.S. men in bringing home the team silver medal, the U.S. men’s first Olympic team medal since 1984, and went on to earn the horizontal bar silver medal. 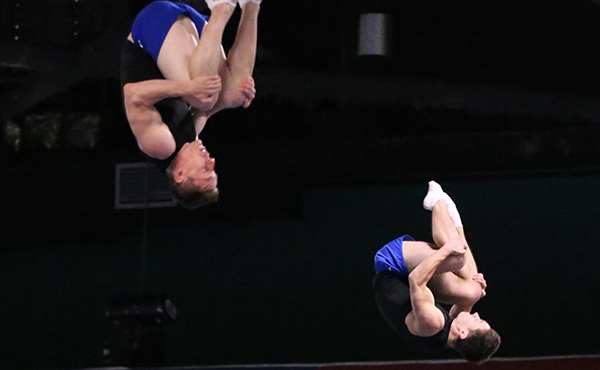 In 2003, Hamm won the World all-around title, a first for the U.S. men, and the floor exercise gold, as well as helped the men earn the team silver medal. His other World medals were the 2001 team silver and the 2002 floor exercise bronze. 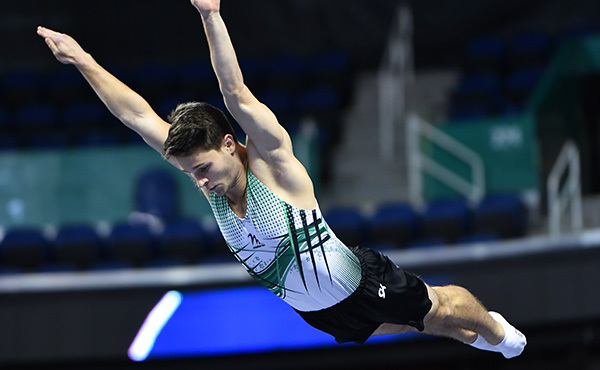 Also, Hamm accumulated three U.S. all-around titles (2002-04), along with two U.S. crowns each for floor exercise, pommel horse and horizontal bar, and one vault title. He also won the 2008 American Cup and the all-around title at three Pacific Rim Championships, along with several other individual and team medals. Hamm was a member of the 2000 U.S. Olympic Team, where he and his brother, Morgan, made history as the first twins to compete on the same Olympic team in gymnastics. Hamm began his career at the Swiss Turners Gymnastics Academy and trained for the 2004 Olympic Games at Ohio State University, where he earned his accounting degree in 2007. He currently resides in Glen Ellyn, Ill., and coaches at Premier Gymnastics. Liukin is a co-founder and owner of WOGA. He coached Nastia Liukin, who won the 2008 Olympic all-around title and has five Olympic and nine World medals to her credit; Rebecca Bross, who has six World medals; Katelyn Ohashi, who has five U.S. junior titles, including the 2011 all-around crown; and Vanessa Atler, who won the team gold and vault bronze medals at the 2000 Pacific Alliance Championships. His coaching accomplishments and accolades include: U.S. National Team coach, 1998-2011; International Coach of the Year, 2002, 2004; International Gymnastics Hall of Fame, 2005; USA Gymnastics Coach of the Year, 2006; U.S. Team head coach, 2007 Pan-American Games; 2008 U.S. Olympic Team coach; and 2009 International Gymnastics Coach of the Year. As an athlete, Liukin was a member of the Soviet National Team from 1985-92. During his career, he won two gold and two silver medals at the 1988 Olympic Games; five gold medals at the 1990 Goodwill Games; and two gold and one bronze medals at the 1987 and 1991 World Championships. He was also the first gymnast to perform a triple back flip on floor and has a horizontal bar skill named after him. 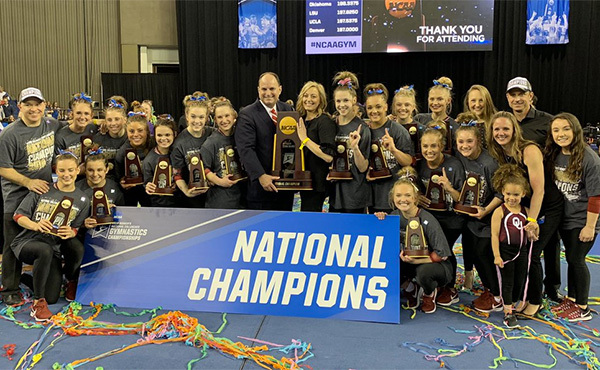 Liukin is currently the director of elite developmental athletes for USA Gymnastics women’s program and resides in Parker, Texas, with his wife, Anna. A pioneer in sports acrobatics since 1976, Pol led his athletes to 20 U.S. Championships appearances and 52 national titles. He was a member of the coaching staff at nine World Championships, bringing home a total of six World medals. Additionally, Pol served as the head U.S. coach for the 1982-83,1986-88, and 1990 World Championships. Pol also served as a board member of the U.S. Sports Acrobatics Federation, which merged with USA Gymnastics in 2002; a national superior judge; and a member of the Technical and International Relations Committee. He authored the first compulsory competitive program for acrobatic gymnastics and was inducted into the Sports Acrobatics Hall of Fame in 2001. As an athlete, Pol was the Polish national trampoline champion in 1970 and won the 1978 U.S. men’s pair title with David Nordman. Currently, he is the head acrobatic coach at Gymnastics Plus and a physical and biological science teacher in the local school system in Slidell, La., where he resides with his wife, Melanie. Sacramone won 10 career World medals, the second highest total by a U.S. gymnast, and was the team captain of the silver-medal team at the 2008 Olympic Games. Her World medal count includes four gold, four silver and two bronze medals: gold – team (2007, 2011), floor exercise (2005), and vault (2010); silver – team (2006, 2010), vault (2006), and floor exercise (2007); and bronze – vault (2005, 2007). Sacramone helped Team USA to its first-ever team gold medal on foreign soil in 2007 and was a member of the 2011 gold-medal-winning World Championships team. Sacramone holds the U.S. record for the most individual vault titles with a total of six vault crowns. She won the U.S. balance beam title in 2011 and the floor exercise gold in 2005-06. Sacramone, who trained at Brestyan’s American Gymnastics, retired from competitive gymnastics after the 2012 Olympic Trials. She remains active in the sport as a coach, choreographer, clinician and a NCAA gymnastics commentator. Sacramone currently resides in Ft. Lauderdale, Fla., with her husband, Brady Quinn. A 2012 Olympian, Zetlin won 10 U.S. titles from 2005-12. 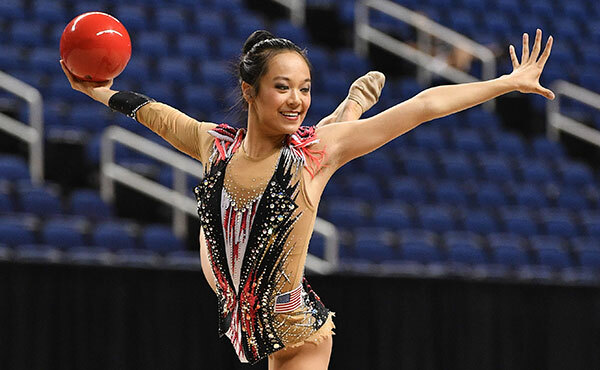 Her national championship victories included the 2010 all-around title; rope in 2005; hoop in 2005 and 2010; clubs in 2005 and 2006; ribbon in 2007, 2010 and 2012; and ball in 2010. In addition to the 2012 Olympic Games, Zetlin represented the U.S. internationally as a member of five World Championships teams. 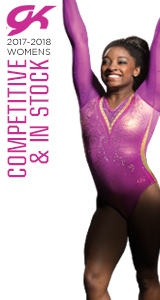 She earned the all-around, ribbon and ball gold medals at the 2012 Pacific Rim Championships. In 2011, she claimed the all-around title, along with the gold medal in ball and ribbon and the silver medal in hoop, at the 2011 Pan American Games. In 2010, Zetlin became the first U.S. woman to advance to the World Championships all-around finals since 2003. During the 2010 Pan Am Championships, she won the all-around, rope and ball titles, helped the USA to the team silver, and earned a bronze medal for ribbon. At the 2010 Chicago Cup, Zetlin was the silver medalist in the all-around for the second straight year, as well as won the gold medal for ribbon and the silver for rope, hoop, and ball. She trained at Capital Rhythmics. Currently, Zetlin, who resides in Los Angeles, is a student at the American Jewish University, working toward a degree in literature, communications and media. Upon graduation in 2017, she would like to pursue a career in entertainment media. She remains active within the sport as a coach at La Ritmica. Hery turned an interest in gymnastics into a life-long passion and became one of trampoline’s greatest innovators. In 1960, Hery earned a scholarship to the University of Iowa, where he enjoyed a successful collegiate career winning the 1964 NCAA Championships vault title and Big 10 crowns on floor and vault. He won the 1964 World Professional Trampoline Championships, becoming the first trampoline athlete to successfully compete a triple back in competition. Following his athletic career, Hery began his journey as an educator working under the tutelage of George Nissen, recognized as the inventor of the modern trampoline. Over the next 50 years, Hery led clinics and demonstrations while pioneering new and safer equipment for the sport. His innovations include the double mini-trampoline and the addition of the coil springboard for vault. Hery owned gyms in New Jersey and Nevada and authored numerous educational articles for trampoline and tumbling. Hery now lives in Fallbrook, Calif., and continues to coach, judge and lead clinics around the country.